OBSERVATION AND QUERY: Are we the only creatures on the planet that willingly risks our lives? 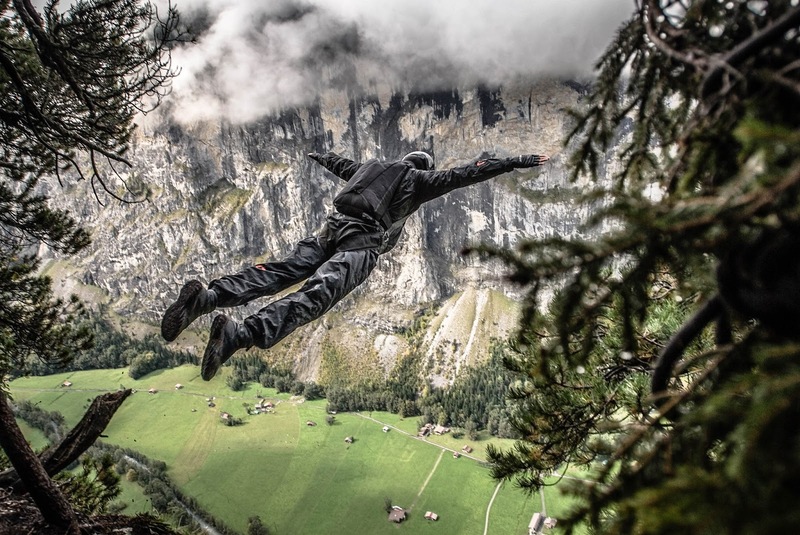 Is thrill seeking reserved for humans? When I look at the beauty of the world, I want to wrap it around me like a blanket and observe. When Jeb Corliss views the world, I can only imagine that he sees a big bouncy house that he wants to dive into and taste. I'm torn between admiration, envy, and horror. From following his feed, I know that he is highly trained. He has worked hard, sacrificed, and invested time and large sums of money to pursue his dreams. He doesn't lightly throw himself off a mountain or building......but he still throws himself off a mountain or building. I'm not a thrill seeker. Aside from driving fast at times, I'm scared of heights, terrified of drowning, and have a very healthy fight or flight response. Perhaps one day I can cast off my base instincts of self-preservation and throw myself INTO the beauty of the world instead of just observing.